Barclay T. Leib, provides outsourced due diligence on hedge fund manager selection, peer group analysis, and risk monitoring to the family office and endowment/foundation community. Additionally, Mr. Leib provides expert witness services on structured products, internal risk management systems, and processes in the hedge fund arena. He has provided expert consulting advice to the SEC on one structured-products investigation in conjunction with a Boston-based law firm. From an earlier career that started at JP Morgan and later Goldman Sachs, Mr. Leib has extensive experience with derivatives trading, derivatives risk management, and derivatives documentation, as well as with systematized trading models and technical trading methodologies. He has written on financial markets on a freelance basis for Institutional Investor, Derivatives Strategy, Bloomberg, Plan Sponsor, Global Custodian, Treasury & Risk Management, and Financial Executive. Mr. Leib co-authored a 2014 IMCA-published white paper entitled “Managed Futures: Cyclical Trough or Structural Impairment? Analysis & Proposed Solutions,” and contributed to the 2009 book Technical Analysis & Behavioral Finance in Fund Management as well as the 2002 book Planning for the Affluent. He is currently co-authoring the CFA Level III text chapter on hedge fund investing for use by the CFA curriculum as of 2019. 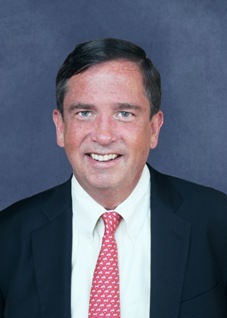 Mr. Leib is a Wilson Scholar graduate of Princeton University where he wrote two treatises: “The Aftermath of Hunt: A New Look at Speculation, Manipulation, and the Regulation of the Futures Industry,” and “Towards a National Market System: The History, Theory, and Ramifications.” Both papers were admitted as expert research references into the Congressional Record.